Samuel (1837); and Marcus (1839). They were three of six sons of Isaac and Jennie Younker. They were all educated as most Orthodox Jewish children in cheder (Jewish religious school) until their b’nei mitzvah at age 13. Along the way . . . .
Marcus Younker came with brothers, Samuel and Lipmam to the United States, landing in New York City. They found their way to Keokuk, Iowa in 1856, where they opened a small business, Younker & Brothers, a dry goods store plus linens, carpets, small domestic furnishings, fabrics, and garments. Marcus ran the store while his brothers would peddle in the surrounding countryside. Younker & Brothers was closed on Sabbath and other Jewish holidays. In 1886, a rail line connected Keokuk with the new state capital in Des Moines. 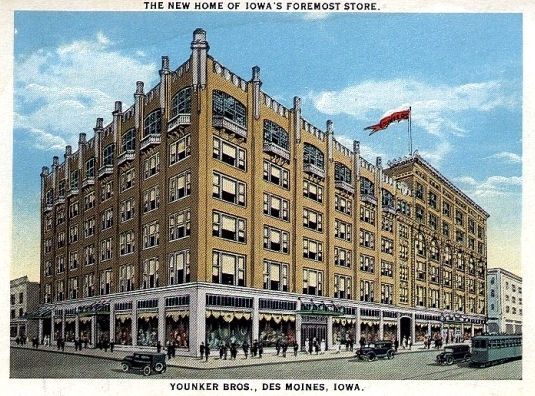 Youker & Brothers (now Younkers) opened a new branch store in Des Moines. Another brother, Herman Younker, arrived and managed the Des Moines store in its beginnings. Lipman moved to New York City involved in the clothing trade until his death in 1902. Samuel died unexpected in 1879. Marcus took over the reigns of the company and made Des Moines its new headquarters. Herman moved to New York City to head the store’s purchasing office. Younkers grew through the years into a full-line department store. 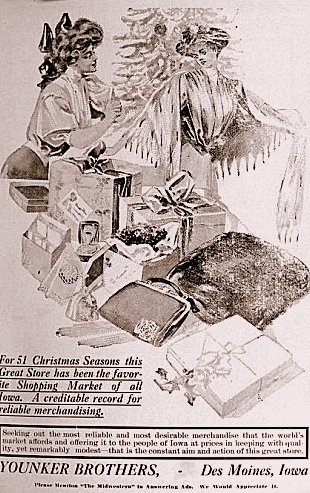 In 1881, Younkers hired the first female salesperson on record in Des Moines. 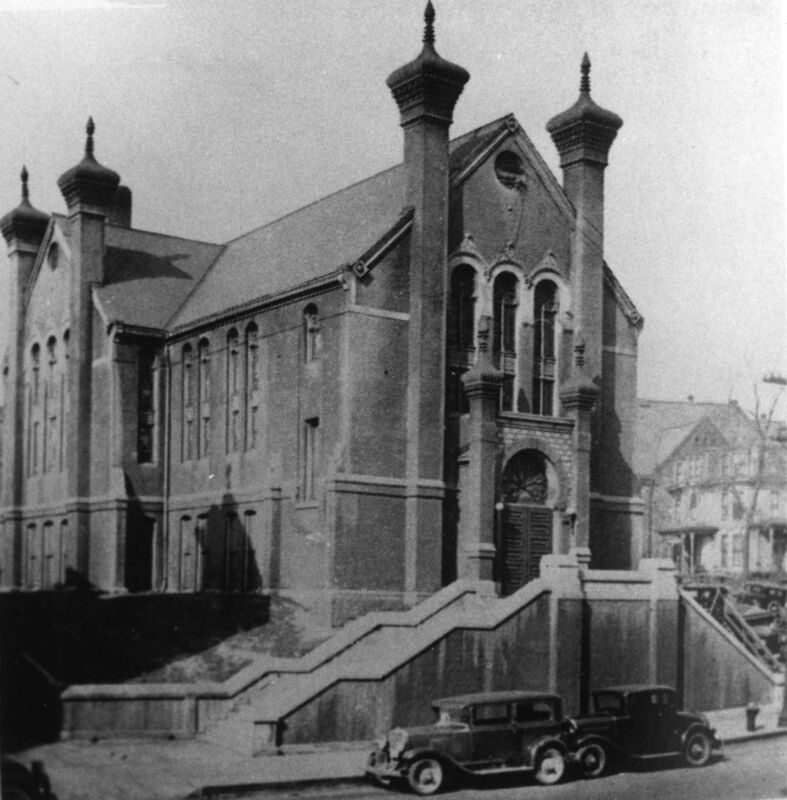 The company moved several times before settling at 7th and Walnut Streets in 1899, and remaining there until 2003. By 1910, Younkers employed over 500 men and women. The company became one of Des Moines greatest philanthropists, funding local charities, war relief, and civic events. Marcus Younker retired in 1895, traveling with his wife to Europe and Jerusalem, returning often to “advise” management. Younkers continued to grow, eventually becoming one of the largest department store chains in seven Midwestern states. 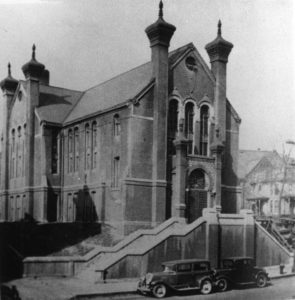 Marcus Younker served a term as President of Congregation B’nai Yeshurun. 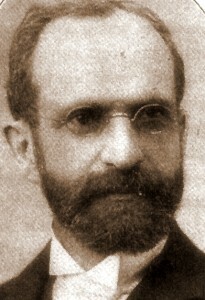 Lipman Younker died in 1903. Samuel Younker died in 1879. Marcus Younker died in New York in 1926, the last of the founding brothers. Simon Glazer, The Jews in Iowa (Des Moines, IA: Koch, 1904). William A. Temple, The Younker Story (Des Moines, IA: 1969).